Infinite Art Tournament: The Wednesday Quiz in England is generally given to horses! The Wednesday Quiz in England is generally given to horses! 2. What country is this? 3. What's that word that means "forcing the audience to see common things in an unfamiliar or strange way, in order to enhance perception of the familiar?" Sure, it's a tough question, but let's get one out there for the lit majors! 4. What is made from this recipe? 5. What is shown in this here schematic diagram? 6. He hid the hundred prophets from the persecution of Jezebel, and comes between Amos and Jonah. Who is he? 7. What's that word, beloved of philosophers, that means "relating to that which actually is," as opposed to that which we know? 8. What very large city is.... here? 10. The lex parsimoniae is the idea that when you've got competing hypothesis, the one that makes the fewest new assumptions is the most likely. What do we usually call this idea in English? Put your answers in the comments with one splash soda water. Maybe this one is going to be my ZERO. 2. Somalia? I realize I should know this. Eritrea? Oman? 5. ha ha ha Helium? 2. Oh-man! I can't think of it. O-man! it's at the tip of my tongue. Oman! I give up. 3. I've heatd it called "breaking your eye open" but that doesn't fit so I'll go with "Openeyeway"
I guess it's too early in the morning for a quiz. * In a reversal of the norm, I seem to have gotten all of the facts-based questions, while drawing blanks on the ephemerals. I must have been overwhelmed at the thought of the obsessive research required to put together this omnibus of obscure items. You'll need an oculist to help your eyes recover after this odyssey through the reference materials - but that's just my opinion. 2 Oman. Or is it Muscat and Oman? 3 Wow, there's a word for that? Cool! Oopsy-daisieing? 1. Sounds so so familiar. I've read this for sure. Well, it's a girl, anyway. 2. I cheated and looked at my map of the world on the wall. 3. Sounds like a fun technique. 5. Hello, Element of the Year! How's life been treating you since your big success? Are the paparazzi getting to you yet? I considered not answering this time, since I can only guess at a paltry few of them. Oh well, that hasn't stopped me before! This one is probably a little harder, but not by design. Vowels just tend to make for a tougher quiz. Well, that and my fondness for the concept of ostranenie. Oh, it's Russian! That's interesting. Didn't know there were any literary theory borrowings from Russian. 4. Old fashion. Could use one now! 10. Ocham's Razor. Not sure how to spell "Ocham." 1. Ophelia - 'cause it begins with an O, and her father died. 2. 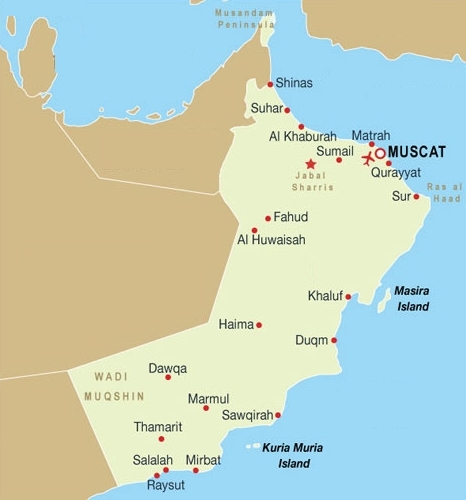 Oman - bang, my geography is just that good. 3. OMG Science Fiction. If you'd asked about the word for belly-button contemplation I'd have a chance. Omphatophomatria or something. 4. Ooooh, I don't know any O-drinks, except Old-Fashioned, but I think that's lemonadey. But then I don't know what angostira bitters are. Maybe they're lemony. Or maybe I'm just getting interference from Old-Fashioned brand lemonade. 5. 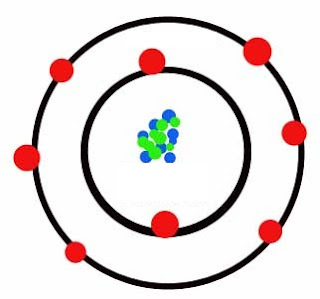 Oxygen atom - I can count to eight on my fingers. I might even remember how sp3 hybridization works. 6. Onan - I'm just hoping he did something else than what he's famous for. Too bad that's not the act they named after him. 7. Ontological - The word just came to me, something philosophers say. It doesn't mean anything to me, though. 8. 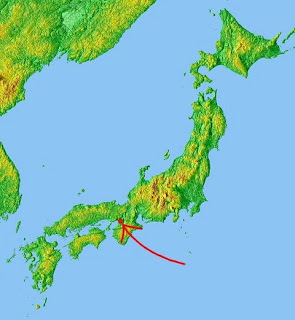 Osaka - Begins with O. Large. In Japan. That's all I got. 9. Oats - Scotland, land of my ancestors. I still eat oatmeal for breakfast every chance I get. 10. Occam's Razor - I so wanted to put the #6 guy here. So inappropriate. Fingers crossed for getting points. Also Elizabeth should get a point for her comment. Also it might be time for the distribution of answers and points. Is it raining there? It's raining on and off, with breaks for gorgeous sunshine. I looked up the answers and will share them for the impatient. Oh, crap, did I forget again? Well, like my aide-de-camp Eavan says, with #7 being Ontological. I act like I'm eight years old! I have eight fingers and two thumbs! And except that I mistyped ostranenie.